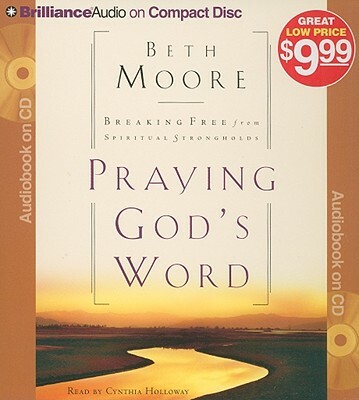 Praying God's Word: Breaking Free from Spiritual Strongholds - Audiobook by Moore, Beth was published by Brilliance Audio in September 2009 and is our 3270th best seller. The ISBN for Praying God's Word: Breaking Free from Spiritual Strongholds - Audiobook is 9781441824875. Be the first to review Praying God's Word: Breaking Free from Spiritual Strongholds - Audiobook! Got a question? No problem! Just click here to ask us about Praying God's Word: Breaking Free from Spiritual Strongholds - Audiobook.